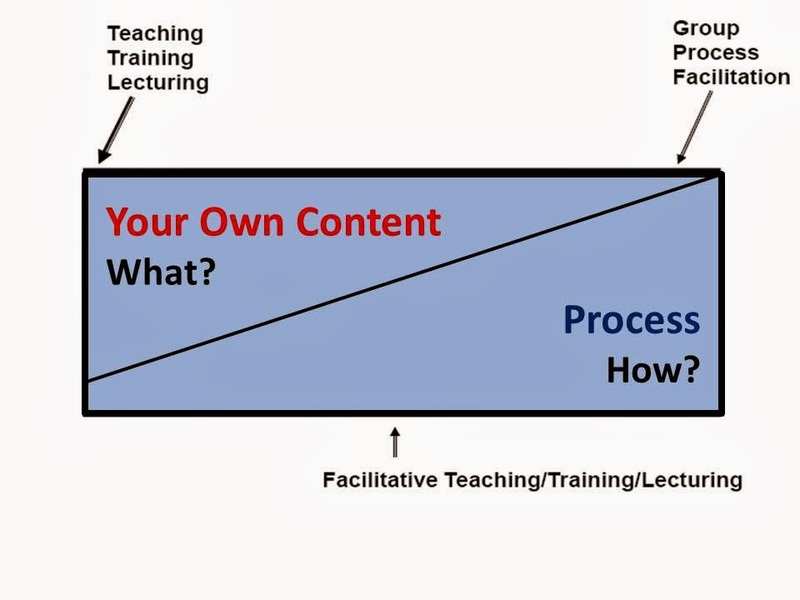 When a Trainer /Facilitator looks at an assignment and starts designing the process, content starts moving in. Soo much are we Trainers used to taking content to the floor that to refrain from sharing (telling!) content is next to impossible. Why are we then there? Aren't we supposed to give our gyan (amen!)? And what are we being paid for? Traditionally learning environment is so much tell oriented (surely in India) that keeping quiet on content is a task by itself. Process facilitation requires a much higher awareness of the facilitator because he/she has really nothing much to share. Believing that the group/s is/are capable of building their own content is another aspect that most of us Trainers don't believe into. It takes time.... design the process, lead the process, clarify the tools, bring the group on track, prod them if required, however keep the content to yourself. but then do we as fossil Trainers have soo much patience!